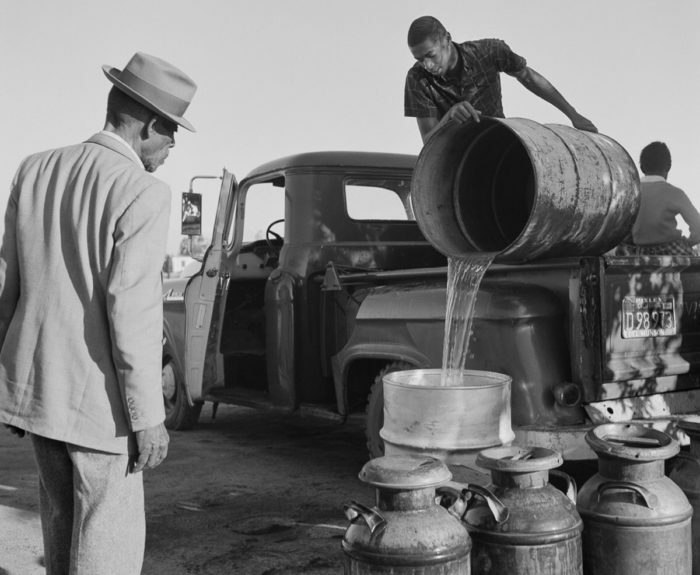 Photographer Ernest Lowe documented the lives of Black farmworkers in California's Central Valley in the 1960s, then revisited the region in 2015 to reconnect with his subjects. The resulting photographs are now on display. California’s Latinx farmworkers have been the subjects of many documentary projects over the years, but very few people documented the history of Black farmworkers in the state. 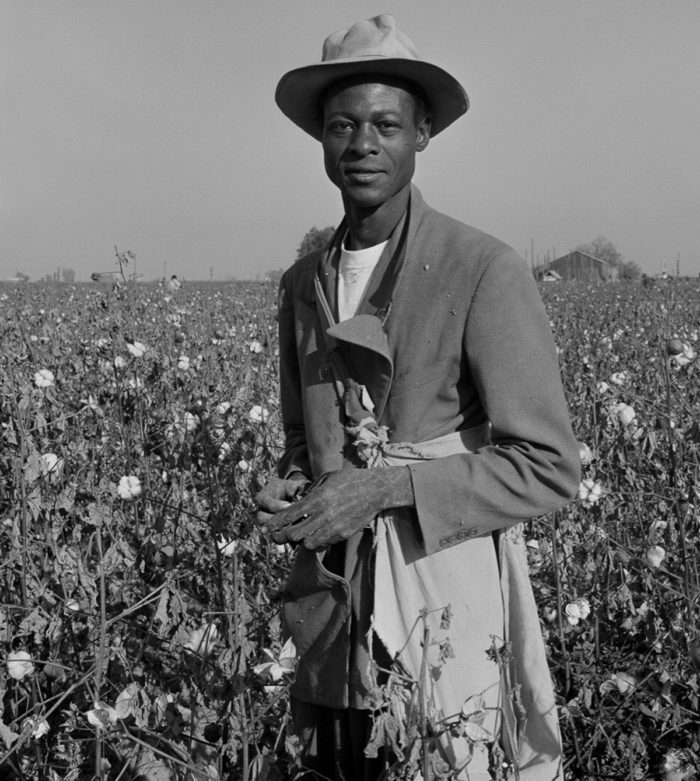 Now, an exhibition at the Fresno Museum of Art called Black Migrants features never-before-seen photographs by Ernest Lowe that provide a glimpse of a story largely left out of California’s agricultural memory. 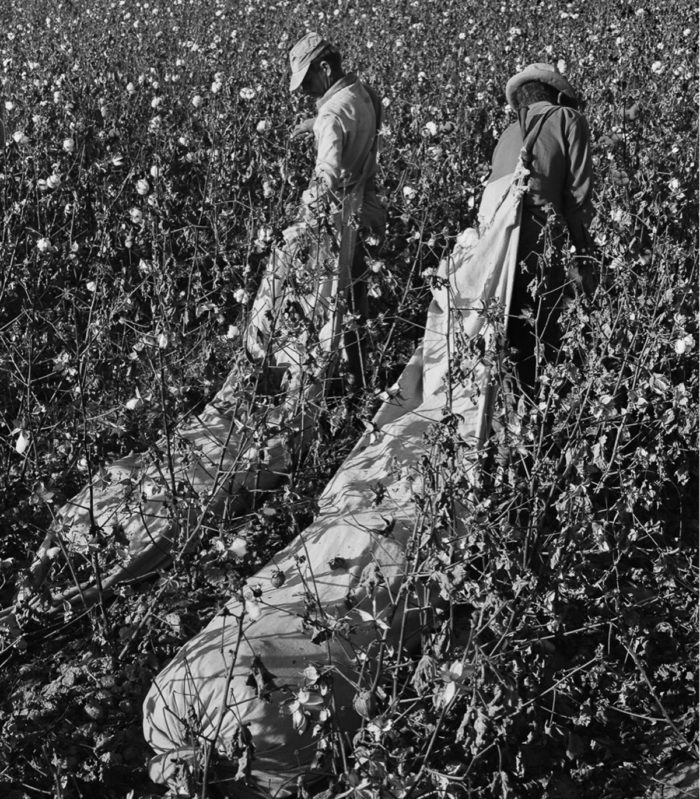 The photos’ subjects hailed from Arkansas, Oklahoma, Texas, and Louisiana, fleeing the Jim Crow South and the injustice of slavery disguised as tenant farming. 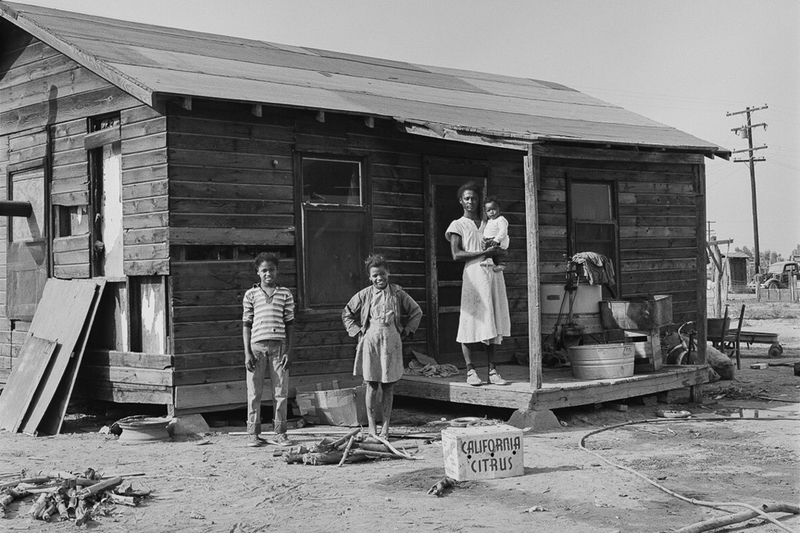 In the 1930s and ’40s, thousands of African American families undertook the long migration, with their sights set on the open land of rural California, higher piece rates for cotton picking, and the promise of freedom. There, they congregated into cotton farm labor camps dispersed across the Central Valley that went on to become communities including Teviston, Pixley, and Dos Palos. In the early 1960s, Lowe was a young documentary photographer working with Berkeley’s KPFA public radio. He took to the fields capturing the reality of these migrants’ lives: racism, backbreaking labor, and some of the most extreme poverty in the nation. 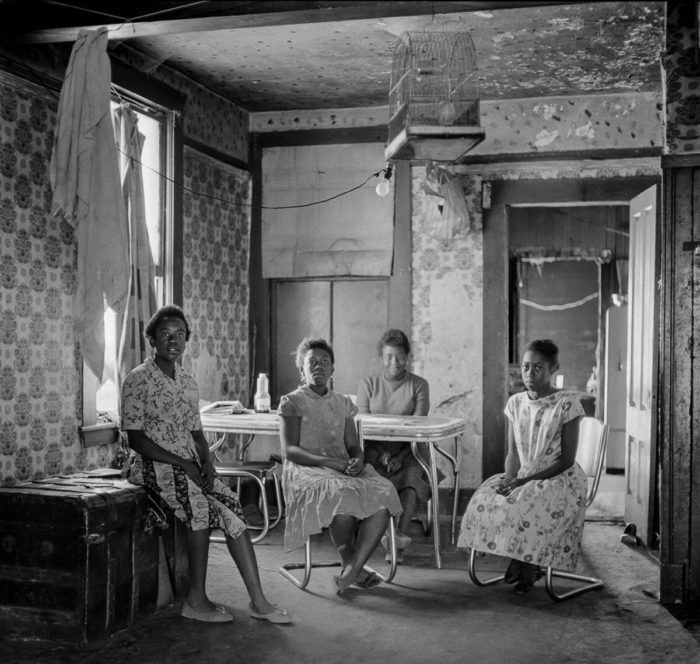 Yet Lowe’s photographs also portray the joy, humanity, and dignity of these forgotten communities, surviving all this time in the state’s margins. Civil Eats recently spoke with Lowe, who describes his career as “applying my creativity to the task of changing the world toward a more humane, just, peaceful, and democratic place.” The historic exhibition runs through January 6, 2019. What made you want to photograph these workers? In the early ’60s, I’d been studying documentary photography and filmmaking at San Francisco Art Institute. Dorothea Lange came in as a guest teacher in one of our classes, and I was very inspired by her work. Then I heard a radio show on KPFA [about] a field worker for American Friends Service Committee [named] Bard McAllister, who was saying, “Someone should come to the fields and take pictures again, the conditions haven’t changed much since the 1930s.” So I committed to do that. Then I was working for KPFA, and so I started doing field recordings and taking pictures on weekends, holidays, time-off. I traveled up and down the Central Valley and into the Salinas Valley, going out into the fields and orchards, going to the camps along rivers and the settlements. I covered the early unionization effort before Cesar Chavez went public, the Agricultural Workers Organizing Committee. I was one of the few people photographing this effort. But I also photographed Black farmworkers. At that time, most people were focusing on the Anglos and Hispanic farm workers and not paying much attention to the African Americans in the Valley. So, in 1964, I spent two months photographing in one of these communities, called Teviston, off Highway 99. The photographs from that time haven’t been seen until this year. Can you say more about why they’re on exhibit now? In 2015, I got a call from Mark Arax, a brilliant investigative journalist who worked for the Los Angeles Times; he was a correspondent for the whole Valley. He had found my pictures and wanted to use them in a film he was doing on the Black Okies, focused on Teviston, and he was very pleased to find I had all these other historic photographs. As we talked, I said I wanted to see if I could find any of the people I photographed in the ’60s. So he and a couple of other colleagues organized a visit, and we went to churches in Teviston and laid out pictures. In the second church, there were probably eight people who recognized themselves—it was this incredibly joyous thing. Then we did the same thing in South Dos Palos, near Fresno. I think we had at least nine to 10 people recognize themselves or their relatives. So we went back a second time, and we were photographing all this time and got wonderful pairs of pictures—you know, like a kid back in 1964 and in 2015. We found that the families that I had focused on had all managed to get out of farm labor and into service jobs, with just a few casualties along the way. So it was just thrilling to find these people who had grown up in such poverty living successful lives. In the ’60s, you photographed your subjects in their lives as farmworkers, but also in very day-to-day, intimate moments. What were you trying to capture? I wanted to get across that these people were not victims, really. They were hard-working, and they did not feel they were in poverty, even though they clearly were. They had to haul water from three miles away because they did not have wells, and the land they were on had alkalized soil [so] they couldn’t do much gardening without a lot of cleanup of the soil. They worked in cotton until the big cotton machines took over. They worked in all sorts of crops and did other work to keep going. So I really wanted to convey their humanity and their dignity. You were one of the only people to document these communities at that time. Why do you think their story went untold for so long? One of my colleagues, Michael Eissinger, got his doctorate focusing on the African American communities in the Valley. He documents the racism and the Jim Crow [segregation] that moved along with the whites to the Valley, because the Valley was largely settled by rich landowners from the South or by [white] “Okies” who came out as farmworkers and then managed to earn enough to buy land. Some of them were very enterprising and developed fairly large agribusiness organizations. They just did not want to acknowledge them. And when they did acknowledge them, there would be significant instances of racial strife. So racism was a major thing. Look up Eissinger’s papers for more information on that. Around the time you were taking these photographs, Dolores Huerta and Cesar Chavez were forming the National Farm Workers Association, and farmworker rights were in the spotlight for the first time. How did you negotiate those tensions? When I started photographing, it was easy to talk with the farmers. We did some interviews, but mostly I focused on pro-union farmers. In 1961, I went to a huge ranch and spent the whole day with Braceros [who] were imported from Mexico and photographed them picking up melons and staggering up ramps with hundreds of pounds of melons on their backs. But they welcomed me—they were not afraid of photographers at that point. Do you think photos like yours and Dorothea Lange’s contributed to the conversation about farmworker justice? My photos were used a lot in union publications, in magazines, and films. But I have no way of knowing … I really have no way of knowing. Can you say more about the significance of these photographs in today’s context? At the opening of the exhibition, there were a dozen-and-a-half people from Teviston and South Dos Palos who were either featured in photographs on the walls or their children and friends were. And, I could see what it meant for them to see themselves on the walls and to interact with people who had empathy with them, asking about their lives. Then there were other people coming up and saying, “Well, I was 12 years old then, and I had to drag a bag of cotton sack behind me. I know what this life was like.” And then the children of people who had been farmworkers, coming up and saying, “Oh is this really what it was like? Lots of white people [also said things like], “I never knew it was this way.” So, really, it’s a living history. It’s hard to put into words, the warm glow I have now. It has meant a lot to be able to go back and find the people I met so many years ago, and to have this whole new set of friends. All photos © Ernest Lowe. These pictures are so wonderful. They really do show "the joy, humanity, and dignity of these forgotten communities." I was moved by the intelligence, gentleness, kindness, and presence of the people in the photos, though they had no reason to manifest any of those things, except that it was their nature. I'm grateful you took the pictures and that they still have a life. Amazing how something can be sad yet beautiful at the same time. The strength shown in these pictures makes me proud. The Black Migrants exhibition was curated by Fresno Art Museum Director Michele Ellis Pracy, and printed by Joe Pickford. Funding came from Cal Humanities Community Stories Program, Mark Arax's West of West Center for Narrative History of the Central Valley, and donors to the FAM. I hope this show travels to other parts of california. I was thinking of the Sonoma County museum, another rural area in the 60's. Any chance this exhibit will come to the SF Bay area? Wonderful photos! I’m reminded of my farm worker classmates at Calipatria High School in the Imperial Valley. Most were Hispanic, but many others were white Oakies and Arkies, and some Blacks. There was extreme racial tension. I was labeled a n——er lover because I shared a gym locker with a black youth. Fist fights between Hispanics and Blacks were hosted by the white gym teachers in front of the gym. I'm going to try to get to see these before the exhibition leaves. Your photos bring back memories. My family, like many Black families in the Valley, worked the harvest fields beginning in the 1950s - 1961. We lived in the Fowler, Selma, Monmouth, Laton, Caruthers area. It would be nice if you could find some photos from then. I attended your lecture at CSU Fresno a couple years ago. Great work. Black Migrants closes at Fresno Art Museum on January 7, 2018 and then moves to University of California at Merced's Library, where it will open on January 22. You can also see the images online at ernestlowe.com. This article only talks about the photographer and does not tell the stories of the people in the pictures.